These are the animals that I am planning to create for my Thesis project Wondrous Creatures. Each of them has distinctly strange features that speak to their amazing ability to adapt and evolve. I recently saw a few of them in person in the exhibition Extreme Mammals, currently on display at the Natural History Museum of Los Angeles County. These animals are each from different time periods and places. My thesis exhibition will arrange these sculptures so that the viewer is able to move further back in time, and across the world with each prehistoric beast they encounter. 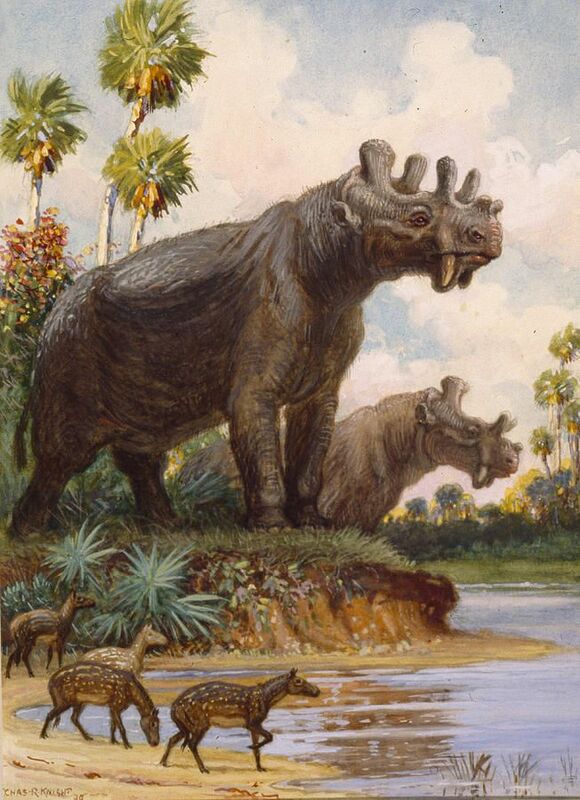 Uintatherium was one of the earliest mammals living 40-50 million years ago in North America. It belongs to a group known as odd toed ungulates which includes both rhinos and horses. Uintatherium was 11 feet long, and 5 feet high at the shoulder. Its strangest feature are the multiple bony horns that protrude from top of the skull. It also had dagger like canine teeth, even though it only ate plants. Stegotetrabelodon is a prehistoric elephant that lived 7-5 million years ago in Eurasia and Africa. It was over 13 feet high at the shoulder, and its strangest feature is a set of 4 tusks. Two long tusks curved upward from an elongated lower jaw, and two longer tusks curved downward from the upper jaw. All that was discovered of Andrewsarchus was the top of its 2 foot skull. Believed to be a large scavenger, Andrewsarchus was 6 feet high at the shoulder based on its skull. It is believed that its teeth would be able to bite through bone. It lived 48-37 million years ago in Mongolia. This is a particularly strange creature because it is actually related to whales, hippos and other artiodactyls. Sivatherium is a prehistoric giraffe closely related to the okapi that was 7 feet tall and lived in Africa and India around 5 million years ago. Its strangest features are large antler-like ossicones as well as being much bulkier and shorter in the neck than the modern giraffe. 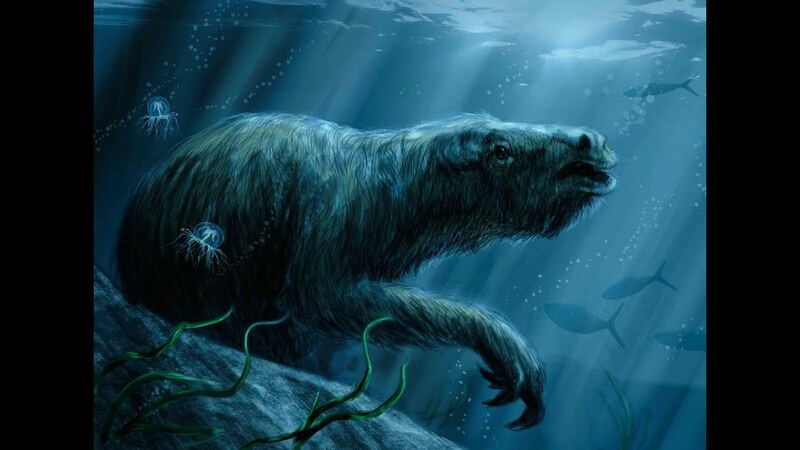 Thalassocnus is an extinct genus of semi-aquatic giant sloth that lived in South America 6 million years ago. Specimens have been found in Peru and Chile, which in the Miocene was a desert landscape with little plant life for sloths to eat. Over time, this sloth evolved a spoon like jaw in order to eat the marine plant life off the coast. It had increased bone thickness as well, and more elongated limbs, and was an unexpectedly good swimmer much like the modern polar bear.